It is DAY SEVEN of our 12 festive advent giveaways in 12 days! 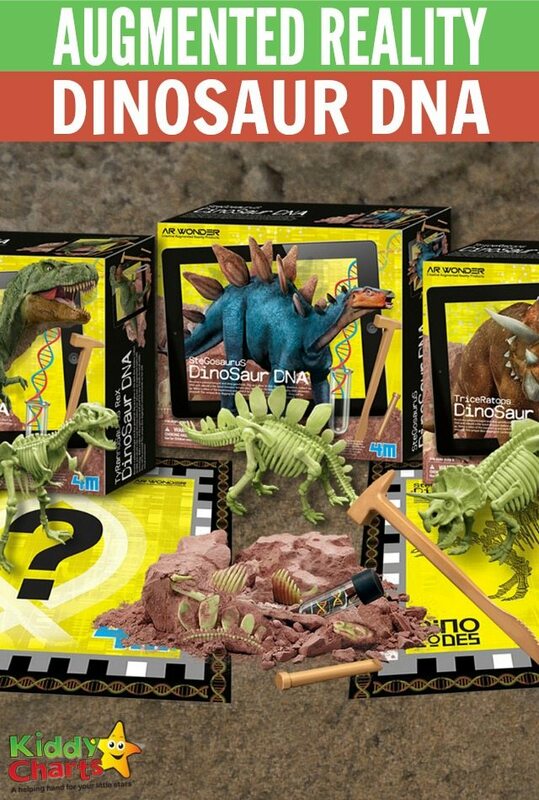 You can win Augmented Reality Dinosaur DNA set (3 available) from Great Gizmos. If you missed DAY SIX – you can still win the Message in a Bottle £60 bundle including a Kiki cuddly toy, so there is still plenty of time to enter. For all you practising palaeontologists, the unique Dinosaur DNA kits (RRP £14.99 each) are packed full of fantastic fossilized fun designed to help you create your very own roar-some virtual reality dinosaur! Dig up the glow-in-the-dark dino skeleton embedded in a plaster block, collect its DNA and rebuild a life-sized dinosaur before your very eyes via augmented reality (AR) technology. Inside each box are 2 square mats, each with a small segment of DNA missing. Once you’ve removed it from the capsule you need to stick it onto the empty square. One mat features your chosen dinosaur, the other a mysterious question mark revealing a surprise scenario; for example a fiery volcano, a town hit by a huge tornado, or a city overshadowed by a huge storm. Download the free Dinocodes app on your phone or tablet (compatible with either Android or iOS devices), then once opened, lay each mat on a flat surface and watch in amazement as the app scans the DNA and the dinosaur appears in front of you! Once your dinosaur has appeared, you can tap the screen to make it roar and also change the background to create various new environments including a forest, TV frame with dramatic breaking news headline, desert and other fun locations. You can also join in the action, stand with the dinosaur and take photos or even create your own mini movie which you can share with your friends! The app needed to scan the mats is completely free to download, and is available on the Apple store and Google play. Without further ado – here is the entry widget and we wish you best of luck! This competition ends at 11.59pm on the 16th of December. We will announce the winner as soon as we can after the close date so that we can endeavour to get the prize out before Christmas. We cannot, however, guarantee this. All our standard terms and conditions apply, and this is for UK and Ireland delivery only. We want to mention and especially thanks Message in a Bottle website – for designing the online chart with their wonderful characters in it – including Kiki their bird :-D and for being so awesome in general! If you are interested in buying the Augmented Reality Dinosaur DNAset, do go to Rymans Stationery and check it out. 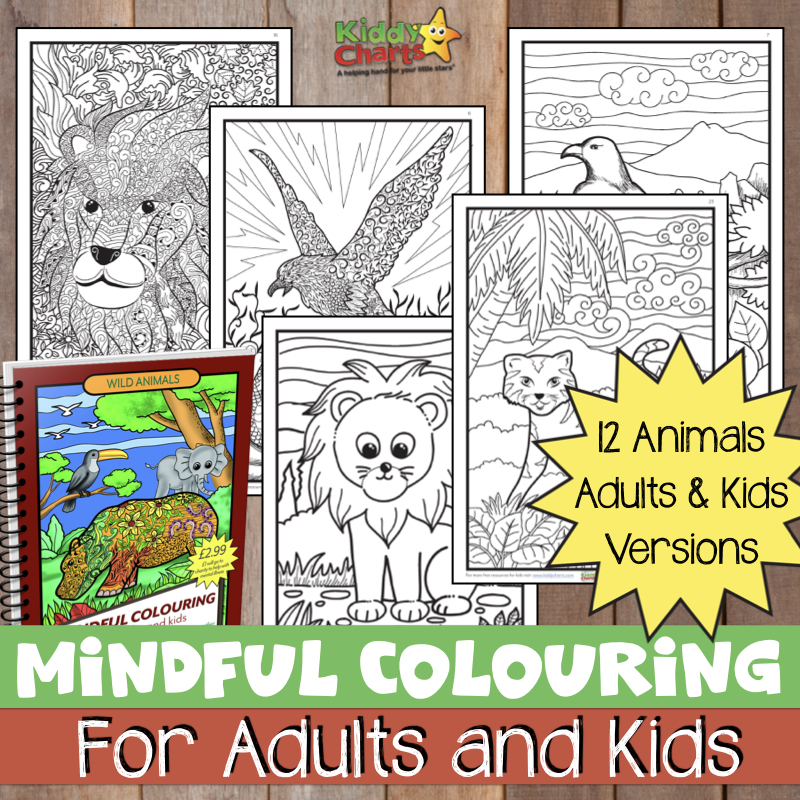 Take a minute and do check out all our great advent competitions we are running at the moment! T Rex – King Of Dinos! T Rex because it is the most scary. The T Rex, because it is my son’s favourite. I would love to find T-Rex – he is fearsome and mighty! I’d love to find a Stegosaurus because they’re my favourite dinosaur! T-Rex as he is the fiercest. The triceratops! My youngest loves his dinosaurs & this is one of his favourites!! T. rex because he’s everyone’s favourite! The T-Rex is a firm favourite in our house. Pterodactyl as they look amazing, can fly and I wonder if they could talk like parrots! My great niece is dino crazy so this would be perfect for her. The Stegosaurus, it’s my nephew’s favourite and he knows them all. T. rex because they’re big and scary with tiny arms. T-Rex because they’re the scariest. A T-Rex because they are in charge! A Velociraptor as my son loves them in Jurassic World! The Diplodocus because want to know how big he really way! A triceratops because they are out favourite dinosaur! I would like to find a T Rex because he is so big, that would keep me busy!! T-Rex, one I know best. T Rex is my son’s favourite just because he is “THE KING”. A triceratops so we could see the horns. Stegosaurus because it was a herbivore. T-Rex because he is a mean machine and needs taking down a peg or 2. T-rex, because they’re one of my favourites. Protoceratops, as it’s my son’s favourite! My son would love to find a T. rex to see if they really are as scary as he thinks! T-Rex, because my nephew thinks they’re great. T-Rex because everybody should meet one but I like the really ugly ones like Pegomastax, too. Tricerotops – my granddaughter is a great fan! T-Rex as I love their music! sauropods are amazingly tall and my little nephew loves them so that is good enough for me. T-Rex because I’ve always thought they were the most impressive! Stegosaurus, because my grandson thinks we would be able to keep one of those in the garden! Pterodactyl to eat the flying monkeys our neighbour keeps! T-Rex because they are our favourite. I would like to find a notoceratops as i think they look really cool. I would like to find a Pterodactyl because with the DNA, maybe we recreate the bird and domesticate it for some amazing eggs – wow an omelette to feed a whole family !! or for a soft boiled eggs- imagine how many dipping soldiers we would need! A diplodocus to see if they are dippy!